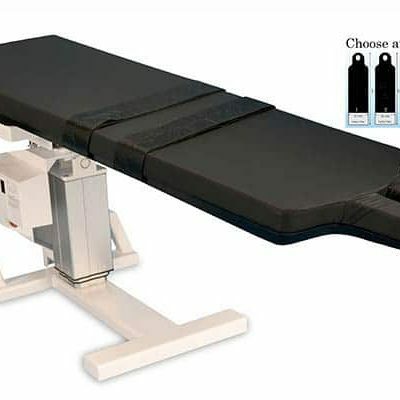 C-arm Table model E2000 is a fixed height c-arm table for spinal c-arm imaging procedures. Superior specifications, the longest most comprehensive warranty, and we guarantee the lowest c-arm table pricing. 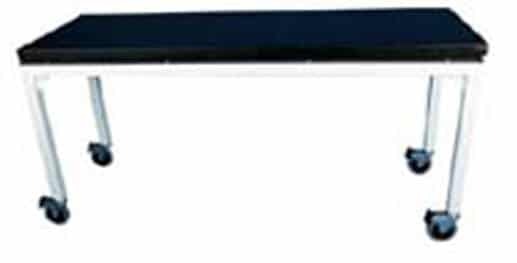 E2000 Series c-arm tables are available in the standard 35″ height but custom c-arm table heights are available. A comfortable 2″ patient pad is included allowing for extended procedures. The CI 2000 C-arm fluroscopy table is fixed height at 35″ but can be made to other heights. The top is a a acrylic radiolucent material supported by an welded external frame. A 2″ c-arm table patient pad provides comfort for the patient with a 650lbs patient weight capacity to provide safety in the largest patients. The 2000 Series c-arm tables can be made to your specifications. Please let us know if you would like a quote for a custom table size.